Ahem . The good news 1st. 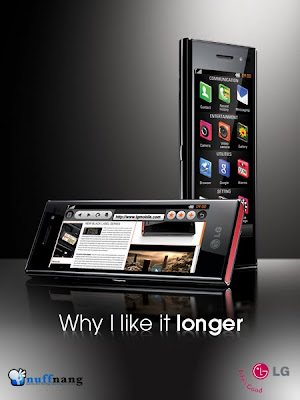 LG is launching " LG Chocolate' According to info. I gleamed off nuffnang site it's more than just a phone, it is also labeled by fashion experts as the ‘Supermodel’ of Phones. 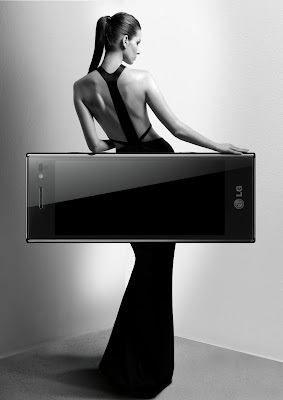 World-renowned fashion magazines like Vogue, GQ, ELLE and Esquire have unanimously proclaimed the new LG Chocolate phone as a breathtakingly sleek supermodel. Its elegant design is enough to rule the runway on its own. It is described by GQ’s Dylan Jones as “Glossy, sleek and thin like a supermodel.” The LG Chocolate BL40 also comes with a stylish Twenty8Twelve’s limited-edition designer case designed by the fashionista and actress Sienna Miller and her designer sister Savanna. 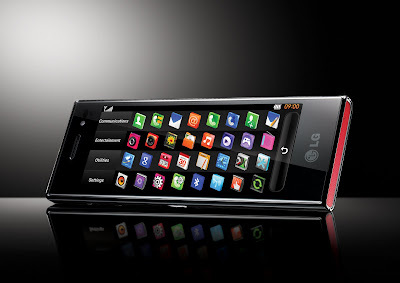 This designer case comes free with every purchase of an LG Chocolate BL40 at the LG Concept Store. Plus Nuffnang is giving out 3 LG Chocolate phone (BL40) worth RM2,199 each to the Top 3 most creative posts! 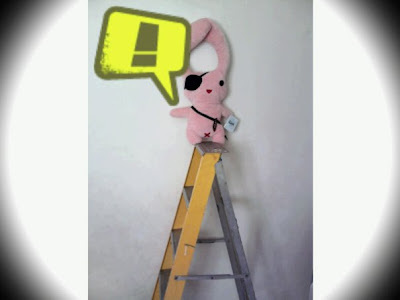 The bad news is me, Pinky the Pirate ( yea me ,the pinkish laaa- bbit with long ear + plus black patch) has drafted to created this post or else walk the plank ( by my owner ,Spectre) -_____-! to win the new LG Chocolate phone. As much I wanted to sail (escape) to the open sea now, i'm stuck this post. *Cough* . Lemme introduced you guy's to my best pal ,Meow ( he black cat below) ! 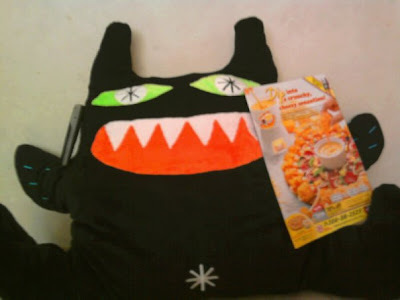 Meow is good *cough again* karaoke singer and strange urges to eat pizza with extra topping of sardin. However when comes to ordering, thing always never work to plan. Operator : Dear Mr. Miow , i would to reconfirm your order . Please reply by using the id number (****-****-****-****-*****) given before we could proceed. 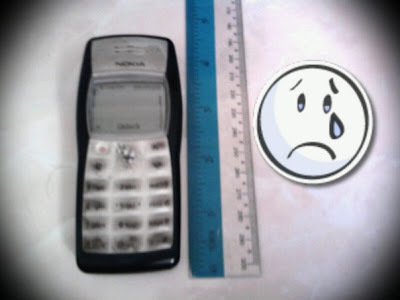 Miow: Wait i'm kenot see, the id number given and sms to my phone screen is so small -lah? can wait? I got get my magnifying glass and ........... ? I believe a good ( I mean bad, perhaps) pirate must learn ,read lotsa stuff or information today for sake getting lotsa moo-lah. Just little wee faster than other folk out today to maximize productivity ~tee-heeee-heeeee~ if u catch my drift *evil smirk* . 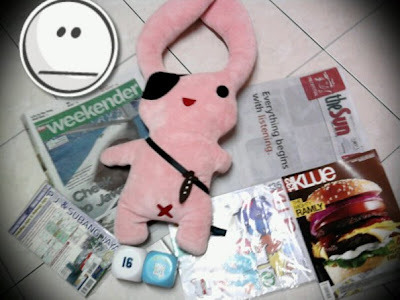 Alas , this problem is unsolved until today coz .........*speechless* just look down to the pix below. How on tar-nation a *in-fehmes* pirate like me to work with if the phone is so small that my fluffy ear is twice the length or more of the entire phone and this does not included the screen yet! -_________________- ! Short equal small or lack amount of info. Longer mean losta information being displayed. Sometimes I want just scream loud from the highest mountain peak . Okay, there;'s ino muntain peak in my area so i will have make do with my owner aka boss staircase. R-A-W-R .....................Note: Somehow Miow karoake lesson are more louder than my occasional scream and he doing on daily basis -______- ! Heck, even staircase are better coz I have better view and vintage point . * This is Seeeee-PPPPP-ARTTA-TAAATA ! Value. 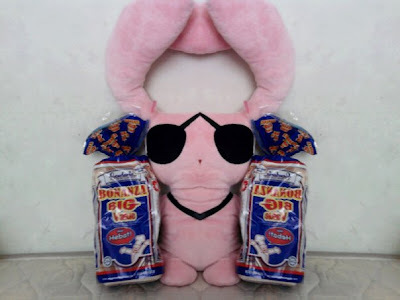 I love my gardenia bread coz there's is bonanza version mean lotsa bread to munch on . For the record, i 'm still a growing pirate and need all vitamin i can have. Physically, longer mean value for money .I'm a 100 % completely noob for value thingy. I willing to beat on all my treasure that the thing that weeeee bit longer that normal stuff have x-tra point one or two. at least. Leader. The top dog. 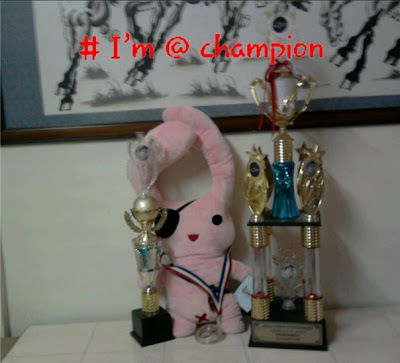 The champion of the hood the ....... okay I guess me and meow are bit outdated in term of handphone technologies thingy compared with the rest. coz whoever in front got major head start than the rest. One thing for sure , if I ......i mean my owner aka boss win the LG Chocolate phone (BL40) ,he would not sent me to the bottom at Devay Jones Locker , If my post win. *Gulp* . For more info . press the pix below.